Member of Parliament for Awutu Senya West who doubles as the Deputy Minster for Communications, Nenyi George Andah, says it is time teachers are motivated to give out their best in the discharge of their duties. According to him, when teachers are motivated, students tend to perform better. He again indicated that the performance indicators show that Awutu Senya West District is performing better in terms of education outcome, adding that motivation is the driving force that is propelling the district higher on the ladder of education. 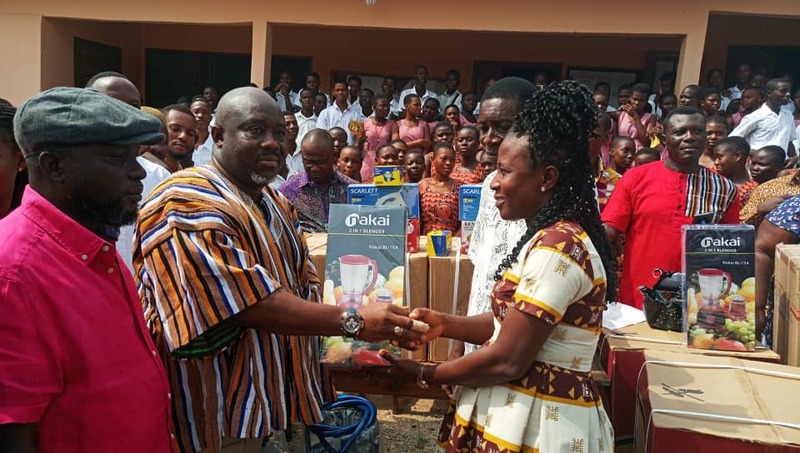 The Deputy Communications Minister made these remarks at the Obrachire Senior High School where he was presenting practical equipment to the Home Economics Department of the School in the Central Region. 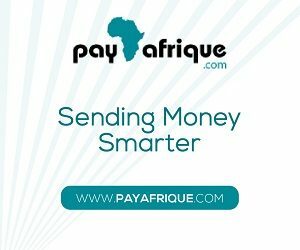 The items, which included cooking stoves, cylinders, sowing machines, blenders among others, were lobbied for by the Member of Parliament from the Valco Trust Fund. 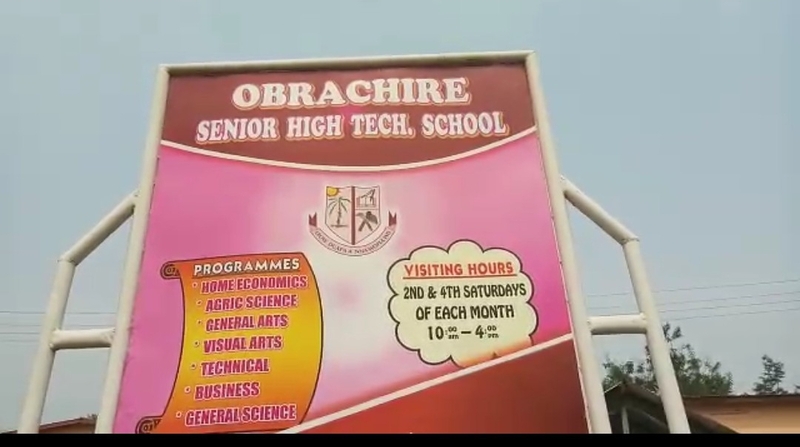 According to the Awutu Senya West legislator, Obrachire Senior High School is the only school in that district that qualified for the double track system hence the need for them to be equipped. “Obrachire Senior High school is the only school that is doing the double track system so they need to be motivated”George Andah explained. “The ICT lab would sharpen the students knowledge in ICT, and it is good for the school since they are part of the double track system”George Andah noted. The Deputy Minister for Communication was however grateful to the Valco Trust Fund for the kind gesture done the school, indicating that this gesture would go a long way to help the school. He also appealed to the school to maintain the items presented to them since generations would benefit from them. “They must have a good maintenance plan for the items so that others can also benefit from it” he admonished. 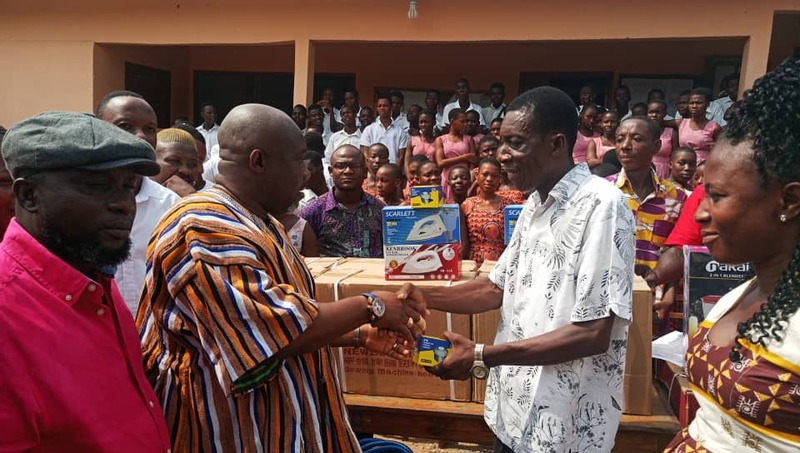 The Headmaster of the school, Chris Adu Yeboah, was grateful to the Member of Parliament for Awutu Senya West Nenyi George Andah and the Valco Trust Fund for the gesture. “The MP has good plans, and I believe we would see more of them this year,” the headmaster noted.